With Inkscape being around for more than a decade now, it got me wondering what all of these critics think about Inkscape. Obviously, we all love Inkscape, but I’m more interested as to what people are docking points for – and if these things have been improved as of today. Obviously, a gradient mesh tool would be incredible so we wouldn’t have to keep doing this. While there are experimental gradient mesh tools for Inkscape, nothing official has been announced yet. 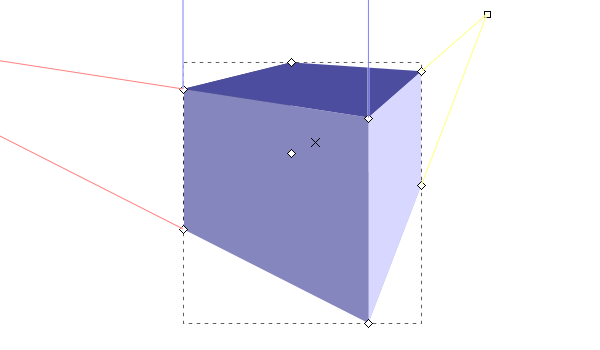 I’m not sure if the 3D Boxes tool being gimmicky is worth docking points for, but I agree – I’ve never found much use for this tool. Filters are also a subjective place to take points away for as it’s really just a bunch of bonus features. It would be great if there was some way to search for and install extensions right in the Inkscape document, just like the Open Clipart Library. Inkscape not truly supporting CMYK is by no means a deal breaker, but it would be incredible to expand Inkscape’s usability over to print design. Stability issues is a pretty vague statement, but Inkscape can be unpredictable sometimes and ultimately crash. This is just one of the downsides you get from such an ambitious, open-source project. Thankfully, when Inkscape might crash, it’s very good about automatically saving/recovering your document. You can also try to optimize Inkscape for better results. Fortunately, I’ve run Windows and Linux Inkscape setups for years with no issues, but there are plenty reports of Inkscape not working on some Mac systems. As it turns out, critic and user reviews are overwhelmingly positive. The improvement process with Inkscape may just go on forever, but that’s what makes this open-source graphics software incredible. Thanks for reading!